President Barack Obama announced this month that Pagliarini is among 105 recipients nationally of the Presidential Early Career Award for Scientists and Engineers (PECASE). The awards recognize scientists “who show exceptional potential for leadership at the frontiers of scientific knowledge in the 21st century.” PECASE was created in 1996 with the goal of maintaining U.S. global leadership in science. The Pagliarini lab focuses on the composition and function of mitochondria, tiny cellular structures at the heart of metabolism and energy production. Mitochondria still hold many secrets, and their dysfunction is associated with as many as 150 human diseases, including cancer, diabetes and Parkinson’s. Pagliarini’s team is focused on hundreds of “orphan” proteins used by the mitochondria — proteins that currently have no clear, defined function. Defining these proteins and understanding how they work together as a system will be a major step toward finding their link to disease and developing targeted therapies. Pagliarini’s nomination came from the National Institute of Diabetes and Digestive and Kidney Disorders (NIDDK), which funds part of his program aimed at understanding how cells turn mitochondrial functions on or off —research that could prove very important for treating mitochondrial dysfunction. Because mitochondria are independent, double-membraned structures within a cell, they are very difficult to infiltrate for potential treatment. Pagliarini’s NIDDK funding is enabling his lab to explore an alternative therapeutic approach . 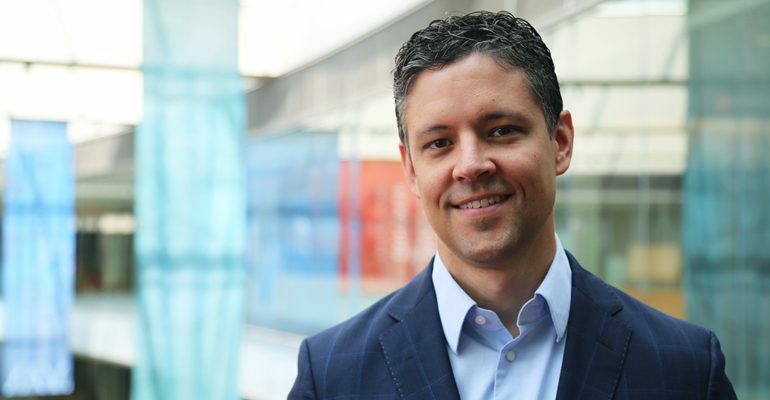 Pagliarini joined the Morgridge Institute in fall 2015 to lead a campus-wide initiative to bolster metabolism research. Pagliarini is charged with hiring new research talent in strategic areas, investing in technology critical to this field, and helping build community among more than 200 metabolism researchers across UW-Madison.